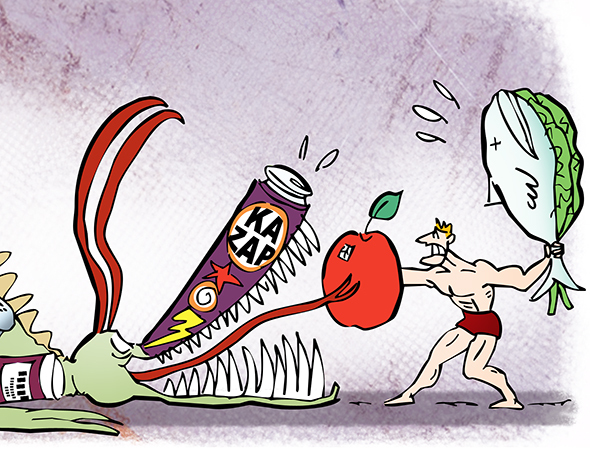 An illustration for Impact Magazine, for an article about food myths. An interesting challenge because the article mentioned nine myths, and the illustration had to span the top of a 2-page spread. You can read about the myths in this post.